We will make sure your child is safe and happy at school. We believe that the early identification of children with additional or special learning needs is crucial if children are to be given an appropriately differentiated curriculum and support to develop their self-esteem and realise their potential. The knowledge, views and experiences of parents, who are their child’s first educators, are vital in the identification, assessment and support process. Parents are our partners in the education process, and this partnership is essential if the children are to make progress. The Head Teacher and Special Needs Coordinator (SENCO) have overall responsibility for special needs in the nursery. What sort of needs could my child have that would need additional support? Cognition and learning: Children may find learning, thinking and understanding harder than most other children. They may take longer to learn important skills, find it difficult to remember things such as words and to understand new concepts and they may need more time to think about their answers. Sensory and/or physical needs: Children may have additional needs that may make it difficult for them to manage their everyday life without support. They may have hearing or visual difficulties, physical difficulties or other medical needs. They may find it difficult hearing what others are saying or in seeing pictures, text and illustrations in books without the print size being adjusted .They may need a walking aid or wheelchair or need changes and support to use pencils, scissors, knives and forks. Some children will need support from an adult to take medication. Communication and Interaction: Children may find it difficult to interact with people and the world around them. They may find it hard to talk to adults and other children in a group, to talk about a given topic and need support say how they are feeling or thinking. They may have difficulties dealing with changes in routine, with noises, smells or other things around them, and understanding what other people mean when they are talking. Does the Nursery have a Special Educational Needs co-ordinator? (SENCo) If so who are they and how can they be contacted? The Special Educational Needs Co-ordinator (SENCO) at Nursery is Mrs Sue Stevens. Who else can I talk to if I am worried about my child’s learning or development? You can talk to your child’s keyworker or one of the class teachers – Mrs Ball or Mrs Fortey. We can also arrange for you to talk to one of the family support team from the Children’s centre if your family needs more support. How will the Nursery school identify if my child has any additional needs? At Featherstone Nursery school we use a variety of different ways to assess whether your child has Special Educational Needs and requires additional support. You may indicate that your child has a particular need when you register your child for a nursery place. We will meet with you and discuss your child’s needs and we will agree on what we can both do to help your child in nursery. We are observing all the children while they are at Nursery school to see how they are learning and developing. If we have a concern about your child we will discuss with you if your child’s behaviour and understanding are the same at school and at home. We will work with you and discuss strategies to support your child so that we are working together to help your child make progress. Where appropriate we will invite you to a meeting to discuss and review the provision that has been in place to support your child. Specialised assessments may be carried out by support services such as the speech and language therapists and other professionals. We hold discussions with adults who work with your child in the setting or from other agencies. If your child has attended another setting before coming to Featherstone Nursery school then with your consent they will share any information they have so that we can support your child in the most appropriate way. All children in our Nursery school have support through quality first teaching that is appropriate and effective for all the children attending. We provide a broad, balanced and rich curriculum. Learning experiences are planned to meet the different needs of all children and comes from the children’s interests. Delivering the plans may take the form of small groups or individual teaching depending on the children’s needs. Practitioners plan activities and learning opportunities, which are developmentally appropriate, differentiated and flexible enough to meet the needs of all children including those with a range of special needs. The learning environment in the Nursery school is planned to ensure that there is equipment provided to enhance learning for all children. The environments in Nursery school, both indoors and outside are planned to support different interests and stages of development. Because of the way we work most children with additional needs can be supported effectively in the Nursery school with the addition of some increased attention and support and specific targets for their learning which enable them to make good progress. We also believe that children learn best alongside their peers and with access to the full range of opportunities we provide. All our staff are trained in a variety of approaches which means we are able to adapt and support a range of needs: – Autistic Spectrum Condition; speech, language and communication needs; medical needs, behavioural, social and emotional difficulties, Down’s Syndrome and hearing impairment. We have teachers and support staff with training related to specific learning needs E.g.‘Autism’, ‘speech, language and communication difficulties’ and ‘behavioural and emotional difficulties’. Teachers and support staff have also received specific training in relation to the use of resources and strategies to support children with SEN. E.g. ‘Makaton’, ‘Every child a talker’, ‘Communicate in print’ and the use of the My choice app for iPads. 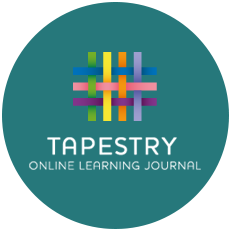 You can access your child’s on-line Tapestry learning journal to see the observations that staff have made about your child and also add your own comments and observations which help to build up a picture of how your child is doing. For children with SEN the key person and SENCO will meet with the parent every term to discuss the support that is in place to support their child’s development and the progress that they have made. For all children identified as needing additional support in school, individual targets will be set and you will receive a copy of the support plan. This will be reviewed at least once a term. You will be invited to a review meeting with the SENCo and class teacher so that you can discuss how your child is progressing. You can always ask your child’s keyworker or the teachers how your child is progressing whenever you bring or collect your child. If you want to have a longer time to discuss their progress you can make an appointment for a meeting with the SENCo or the class teacher. The school will use the school tracking system to track your child’s progress as well as observations and discussions with the adults who support your child. Teachers regularly review all pupils’ progress with the Deputy Head/SENCo. Parents can talk to the SENCo or the class teachers about any concerns regarding managing behaviour. Parent workshops focusing on strategies for managing behaviour are available through the Children’s centre. The Deputy Head Teacher or class teachers will support children and parents should any concerns about behaviour or PSE skills arise. The Nursery can use the services of an Educational Psychologist to give advice and support where needed. Nursery staff use circle time sessions and floor books to discuss different issues with all children in the class. Age appropriate activities and resources such as stories and puppets are used to support children with behaviour and social situations. How will my child be supported through transition into the Nursery school and when they leave? We invite all parents to an induction meeting in the summer term and to a play session in the Autumn term before they start nursery. They get the chance to meet their new key person and become familiar with the setting. We have a settling in period for all children and this varies in length depending on each child’s needs. Parents are expected to stay on site until we feel that the child is ready to be stay without them. Transition to Reception is very important and as soon as we know what schools our children are transferring to we start organising a transition programme. We invite Reception teachers to come and visit the children in nursery and to talk to the child’s key worker. 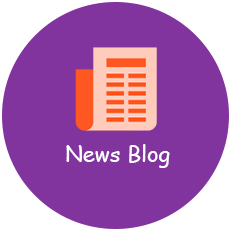 We write “One page pupil profiles” for children with additional needs so that the new setting has all the important information needed about how best to support the child. What other agencies and specialists can the Nursery school involve to support my child? We have support from specialist/advisory teachers and support staff who work with us to support children with SEND and their families both at home and in nursery. We get support from speech and language therapy to advise on strategies and offer support to families. We refer children to this service if we feel they need a period of therapy. We get support from occupational therapy for children who need assessment, e.g. for specific programmes around toilet training or sensory needs. We get support from physiotherapy for children who need it. We get support from the communication and autism team service that support teachers and staff on how to implement strategies for children with SEN.
Where a child is involved with a lot of outside agencies we feel it is important to invite everyone together to review a child’s progress. We set realistic targets and decide what strategies we will use to support the child to achieve the targets set. We include parents in all of these discussions. Communication and Autism Team – provide for children and their families who are being assessed or who already have a diagnosis of Autism. Referrals to these services would be discussed with you and we would fill in a form and ask your permission for the professionals to work with your child. What other activities are available for children with SEN? We have regular educational visits and children with SEN are always included in these. We will discuss with you if we need to make any changes or adaptations for your child’s needs. Parents of all children are welcome to join us on visits. We run Forest School sessions and all children will be able to be involved in these sessions. We have a sensory room that you and your family can use outside term time until your child is five years old. Please ask at reception for information. Birmingham SEND Information, Advice & Support Service provides advice and information on all aspects of special educational needs, for parents, children, and young people. Click on the links below for more information and support.